The position reports to the The Country CIB Head and Head Investment Banking East Africa, and will involve close interaction with Client Coverage Head for Tanzania in addition to the country client relationship management teams, TPS and Global Markets. • Has a good understanding of CIB Global’s overall strategy, and of how the strategy of IB Tanzania supports this global strategy. • Drives the re-establishment of an Investment Banking Business in Tanzania. 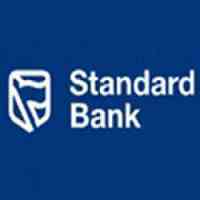 • Develops and nurtures strategic relationships with clients in Tanzania to ensure that the strategy and business objectives of clients and Standard Bank Group are aligned. • Drives and role models a superior client orientates culture that proactively provides solutions to client needs. • Together with the East Africa IB Head defines and continually reviews the Tanzania coverage strategy and business objectives. • In depth understanding of financial services industry trends and the evolution of Corporate and Investment Banking practice both nationally and internationally. • Aware of and has intimate understanding of the activities of traditional and non-traditional competitors and how this affects CIB East Africa’s client relationships. • Develops an intimate understanding of clients’ industries and businesses, analysis of their modus operandi, management practices, judgment of various influential decision makers, and market conditions affecting the long-term viability of both individual clients and industry sectors. • Utilizes management information systems and processes to pre-empt selling opportunities and proactively identify opportunities and threats to both clients and the Bank. • Effectively uses client, industry and market knowledge to continually provide information, thereby ensuring that the Bank’s products and services continually meet the client needs and stay abreast with world best practice. • Has a good understanding of the economies of Tanzania and the wider East African region, the strategic direction the countries in the region are taking and the impact of such developments on clients and industries. • Has a good understanding of both the similarities and the differences in the East African countries. • Monitors markets and pre-empts risk for both the Client and the Bank. • Monitors progress and implementation of client penetration strategies. • Ensures that Product and Country partners understand the overall client coverage strategy and, in particular, that the IB Franchise names are appropriately covered by the relevant IB Champion envisioned with the aim of originating and executing transactions. • Delivers- budgeted IB number on an annual basis together with product. • Establishes credibility and overall profitability for the Bank and clients by the skilful application of specialist knowledge to deal with diverse client environments and provide qualified leads to relevant areas within the Bank e.g. Global Markets, Investment Banking Execution teams. • Appropriately balances technical input and marketing skill to address client environment and needs. • Introduces specialist skills (e.g. Transactional/ Electronic Banking Manager, Global Markets) on specific products and product mix at the appropriate time and level, in order to create solutions, which effectively satisfies Client needs. • Builds relationships across all hierarchical levels within and outside the Bank in order to develop a credible and relevant network, to ensure leading edge financial and market information. • Develops good personal relationships with the Heads of the inter-related Business Units within the region and the Bank to ensure close cooperation between the Units. • Develops and maintains relationships with clients at Chairman, CEO and CFO level. • Ensures that client confidence is supported by solid delivery of expected benefits such as cost efficient finance and reliability of required service standards. • Works to ensure delivery from varying Standard Bank Group units eg Regional Investment Banking Execution teams, Standard Bank Africa sector coverage teams and the TPS and Global Markets teams. [primary interface with Investment Banking, Global Structuring Group and Global Markets. • A Bachelor’s degree in a relevant field i.e. Business, Finance Economics.